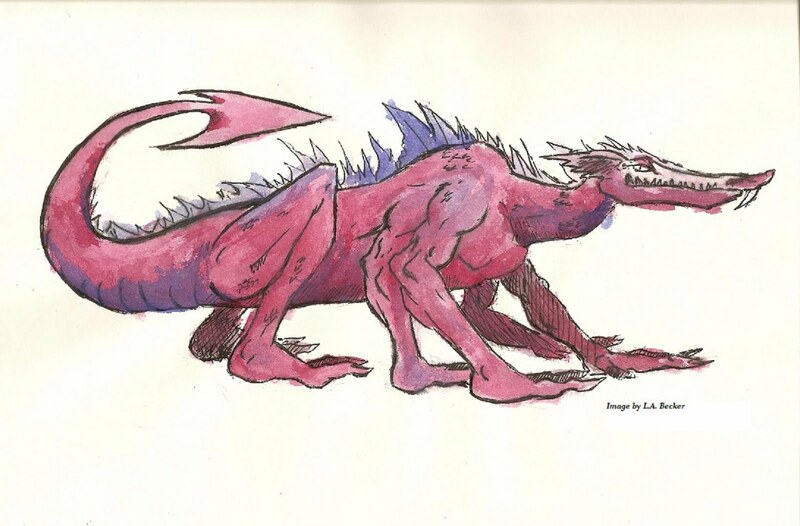 This strange beast was drawn and painted by my son Levi. It reminds me vaguely of some of the monsters of Tekumel, maybe the Sro Dragon? I will definitely make use of the beastie in one of my adventures. Anyone have any ideas? It definitely looks intelligent.